There are a lot of cruises from Fort Lauderdale, Florida to Aruba. Journeys to the islands of the Southern Caribbean often include this little piece of paradise. The complete list of departures is below. Aruba is located in the far south of the Caribbean, off the coast of Venezuela. It is one of the 3 "ABC islands" along with Bonaire and Curacao. 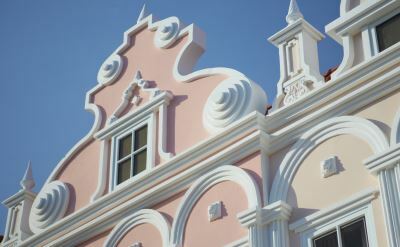 Oranjestad is the capital and largest town. The official languages are Dutch and Papiamento, but English is known by many. Cruise ships dock in Oranjestad, which is a fine place to shop. Some of the items are jewelry, perfume, leather goods, local crafts, Dutch Delft and Dutch cheese. A trolley offers free rides downtown. Popular shore excursions are island Jeep tours, go snorkeling, sail on a catamaran, see a butterfly farm, or walk in Arikok National Park. 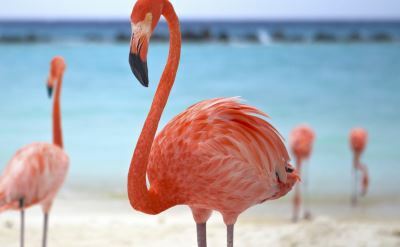 At the beach you may be visited by flamingos. Watch a beautiful short video about Aruba. It's only 4 minutes long and definitely worth a look. 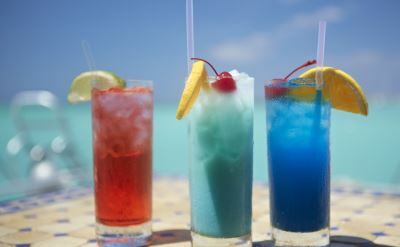 8-day cruise to Aruba on Carnival Cruise Line. Round-trip from Fort Lauderdale to Princess Cays (Bahamas), Grand Turk (Turks & Caicos), Curacao and Aruba. 8-day cruise to Aruba on Carnival Cruise Line. Round-trip from Fort Lauderdale to Half Moon Cay (Bahamas), Grand Turk (Turks & Caicos), Curacao and Aruba. 10-night cruise to Aruba on Celebrity Cruises. Round-trip from Fort Lauderdale to Grand Cayman, Aruba, Curacao, Bonaire and Key West (Florida). 10-day cruise to Aruba on Holland America Line. Round-trip from Fort Lauderdale to Half Moon Cay (Bahamas), Grand Turk (Turks & Caicos), Amber Cove (Dominican Republic), Bonaire, Curacao and Aruba. 8-day cruise to Aruba on Carnival Cruise Line. Round-trip from Fort Lauderdale to Grand Turk (Turks & Caicos), La Romana (Dominican Republic), Curacao and Aruba. 9-night cruise to Aruba on Celebrity Cruises. Round-trip from Fort Lauderdale to Aruba, Curacao, Bonaire and Grand Cayman. 10-day cruise to Aruba on Holland America Line. Round-trip from Fort Lauderdale to Half Moon Cay (Bahamas), Amber Cove (Dominican Republic), Bonaire, Curacao and Aruba. 16-day cruise to Aruba on Holland America Line. 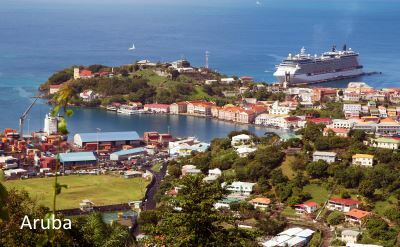 Round-trip from Fort Lauderdale to Grand Cayman, Jamaica, Curacao, Aruba, Trinadad, Tobago, Barbados, St Maarten and St John. 7-day cruise to Aruba on Holland America Line. Round-trip from Fort Lauderdale to Half Moon Cay, Curacao and Aruba. 10-day cruise to Aruba on Holland America Line. Round-trip from Fort Lauderdale to Half Moon Cay, Grand Turk, Amber Cove, Bonaire, Curacao and Aruba. • 2020 departure: January 2.